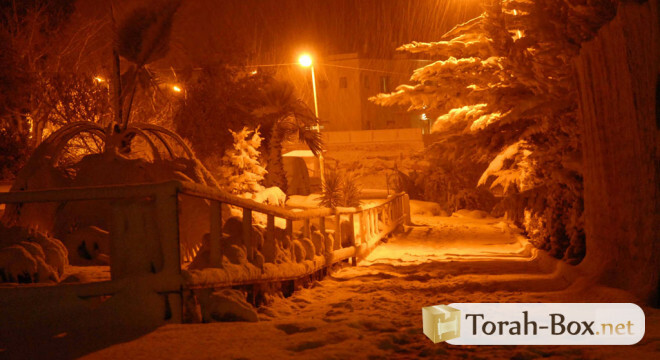 Do you know that during the eight days of Chanukah, Hashem showers us with a unique gift? It is called the "hidden light." It is a light reserved exclusively for the tzadikim and yet... it is unveiled parsimoniously in this world. It’s full luminescence will only be revealed in the world-to-come. But during Chanukah one gets a glare of this lofty light and generous gift. And it is revealed to all! So, please understand that Chanukah is truly an exceptional moment, a big preview, like a “trailer’ in modern terms of something one is not even sure to discover in the world-to-come. I will say it in one word: do not let this opportunity pass you by! By the way, how can Hashem reveal such a luminous light, which is reserved for the righteous in the world to come? It's difficult to believe, it almost seems like a scam because it’s too good to be true, too extraordinary, too fantastic! What’s in the small print? There isn’t any small print! What we need to know is that throughout the year, the Shechina (Divine Presence) never descends on Earth lower than 10 tefachim (60 cm) but, by contrast, during Chanukah, Hashem splurges in His great love for the Jewish People, and descends even lower than these 10 tefachim. Yes, He shatters this splendid light which is so powerful! Hence the expression: Chanukah is the festival of lights. That's what it is, the Festival of the Hidden light of Hashem. Now we finally understand the Festival’s significance! But here we are, after candle lighting, fidgeting to sit quietly in one place for thirty minutes, abstaining from doing any work... Be careful... do not miss the boat! Now is not the time to flip through your favorite magazine, nor eat oily donuts (hello, extra pounds?). The next question to ask is: what am I going to do for the next half an hour? 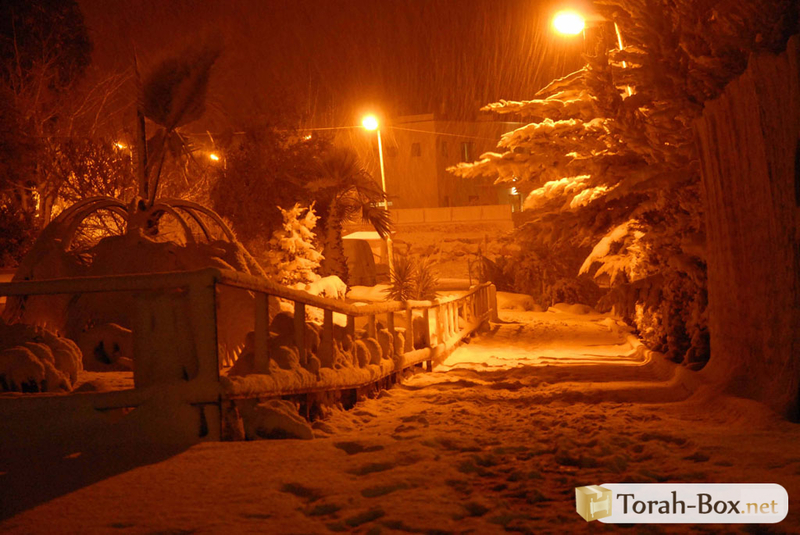 We ought to know that the main theme of Chanukah is to thank Hashem! And the main Mitzvah of Chanukah is to stare at the Chanukiah. Sitting quietly in a state of deep reception we may catch a glimpse of that wondrous light, dancing amid the glittering candles that is reserved for the Tzaddikim in the world to come. It is not surprising that we light in the evening. It is during our darkest nights that Hashem rescues us from whatever gloominess and backness we may find ourselves in. Staring at these wondrous flames one must search for that hidden light concealed within. Truthfully, what does it mean to "thank Hashem"? How does one truly thank Him with sincerity of heart? (Without this becoming a habit that one repeats daily and gets done with). We ought to know that Rabbi Nachman was accustomed to sit by the lights and imagine how different his life would have been if it Hashem hadn’t been there for him. If we emulate this example and scenario, and try to imagine how bad things could have turned for us, how bad we could have fallen and how terribly our misfortunes could have ended, we might come to the realization that Hashem was concealed behind every single detail of our lives. In Hebrew, the word "toda" (thank you) comes from the word "hodaa" (recognition). To be truly thankful is above all to recognize the goodness bestowed upon us by Hashem. But to be able to express recognition, one must master an essential trait. : to learn to look at life and all it has to offer with a good eye! And so, Rabbi Nachman of Breslov, in his masterpiece, Likutei Moharan (Torah Beit), writes that the days of Chanukah are days of gratitude to Hashem. We must draw strength from them for the entire year and learn how to strengthen ourselves against all odds: suffering, immorality, material concerns, etc. We must assimilate that a man cannot emerge from his suffering unless he first gives thanks to Hashem. Only then can he find a truthful perspective to fully understand his trials and tribulations and appreciate the benefits bestowed upon him by Hashem. Of course, if you take a moment to think about it, it is the antithesis of the message “broadcasted” by our friends, the Greeks. According to them, everything comes from nature and absolutely not from Hashem, lest His “alleged” miracles which in their eyes are an illusion. They tried to uproot our faith by developing Hedonism and Epicureanism, also known as "the limitless, eat, drink and merry yourself as if there were no tomorrow", that is to say, the pursuit of pleasure in every aspect of life. Unfortunately the message of the Greeks has not only prevailed but skyrocketed, exacerbated by the movie and fashion industry, modelling agencies, the cult of sports, the need to flaunt flashy cars, etc. We seem to worship having the best and the most beautiful of everything. And within the confines of our own home, with our extra pounds, our exercise regimen more often ignored than not, we feel old-fashioned and outdated in comparison to what’s shown in the media, where everyone looks beautiful and happy. So, glancing back on our own reality, we wonder what to thank Hashem for? To properly thank Hashem, one must be able to focus on the inside and seek the connecting light that we share with Hashem. This powerful light enables us to rewind our lives to the beginning, so we may understand and accept that everything comes from Him. Thus, only at this point, will we be able to recognize all the benefits that are showered upon our lives every minute of the day. And believe me, friends, whatever it is you are suffering from, could have been ten times worse without Hashem’s intervention! Based on a purely technical law related to Chanukah, let's discover a way to fight the evil within us by accessing the Hasidic masters’ wisdom. Chanuka: Can We Let Children Light? 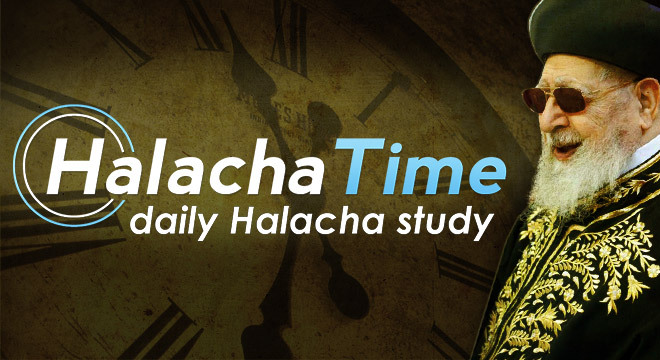 Halacha Time Class - Sunday December 9th, 2018 (length: 5 minutes) given by Rav Yosef COWEN. 28-minute video class given by Rebbetzin Esther Bitensky. 12-minute video class given by Rav Binyamin BITENSKY. Halacha Time Class - Friday December 7th, 2018 (length: 6 minutes) given by Rav Yosef COWEN.